What’s Cooking?…Green Curry of Eggplant. 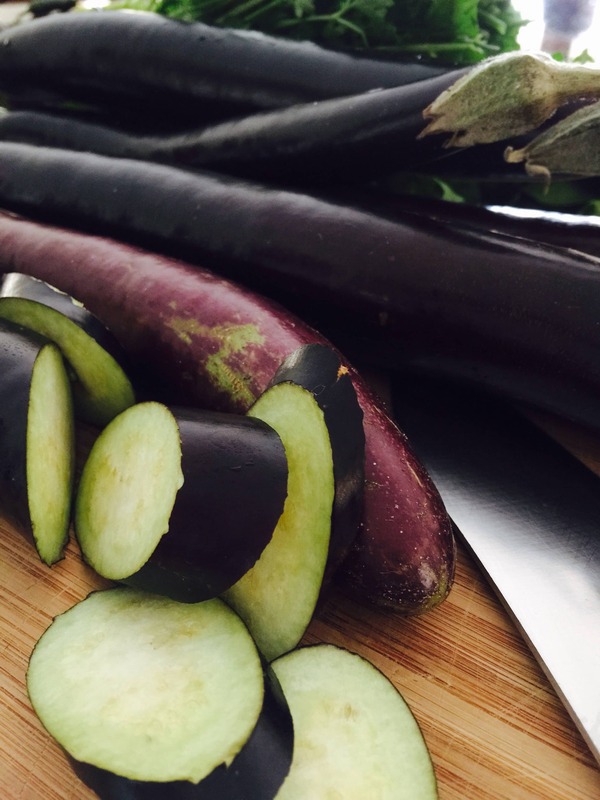 I really like eggplants and often try to challenge myself with new ways to use them. 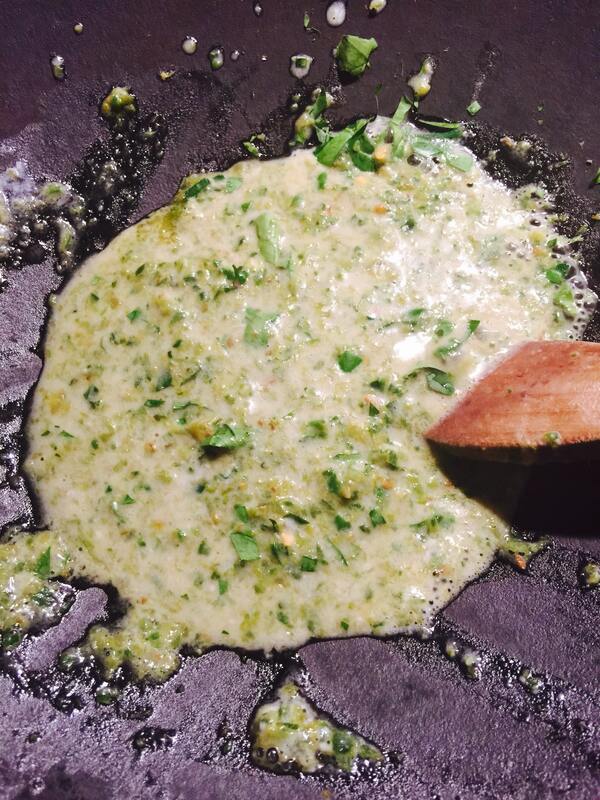 Thai style green curry is also a personal favourite, with light fresh spicy and zesty flavours that are so alive. I have seen eggplant added to other curries, but I thought why not have the eggplant as the star. 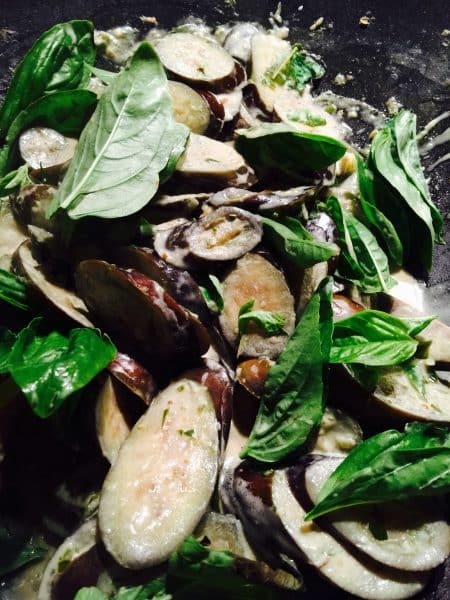 It teams so well with the coconut milk just as they do with olive oil in Mediterranean cooking. By accident rather than by design, this curry is also suitable for vegetarians, vegans, and those who are gluten intolerant, but it is still delicious even so! 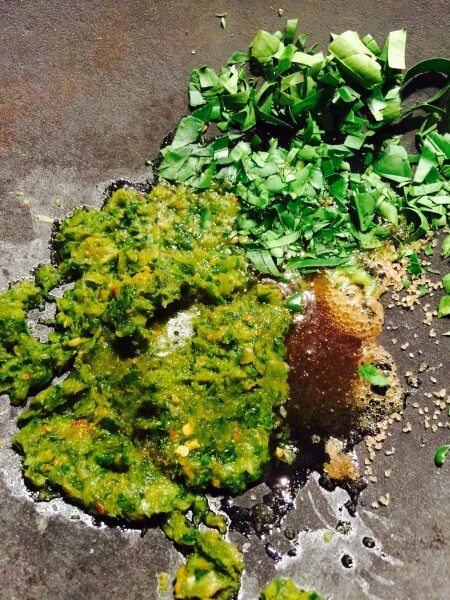 Taste has an excellent recipe for Green Curry Paste. I’ve used it many times with great success. Slice the eggplants into 1/4″ slices or 1/2″ cubes if using large eggplant. add to a colander. Sprinkle liberally with salt and allow to stand for 30 minutes. After 30 minutes rinse well. In a wok or large pan, add the finely shredded citrus leaves, the green curry paste and the Demerara sugar. Add about 2 tablespoons of the coconut milk and saute for about 2 minutes until the mixtures bubbles and becomes fragrant. Add the eggplant and cook on medium, stirring occasionally until the eggplant becomes soft but not sloppy. 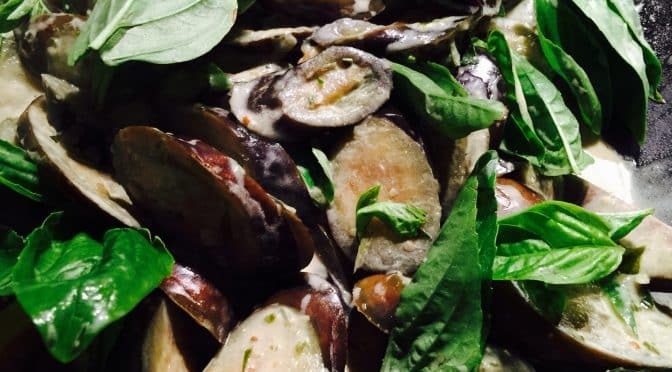 Once the eggplant is cooked to your liking, add the remainder of the coconut milk and the soy sauce. Adjust seasoning if necessary. Bring up to a simmer then turn off. Sprinkle with fresh basil leaves and serve with Basmati rice. Left over green curry paste it can be kept covered for several days in the refrigerator or put into zip lock bags in the freezer for another quick meal or two!